We offer Absentee Home Watch and Vacant Home Watch services to provide homeowners with peace-of-mind during extended stays away from home. We often work with corporate executives that take extended work assignments overseas. The question is, what do you do with your home while you are thousands of miles away? With Personal Property Managers, we offer you total peace of mind. While you are away, leave you home to our care. We are an insured and bonded company offering a variety of home watch services. Now you can travel or take an extended work related relocation and not have to worry about coming home to any unwanted surprises or unscheduled maintenance on your home. We tailor our services to meet the individual needs of our clients. So, go ahead...Travel...Enjoy life! We are an award winning company and have been recognized by the SBA. In the event that you are away and we uncover a needed repair, we can notify you and take care of it for you. We provide 2018 best in class services. We proudly service Pennsylvania and the counties of Bucks, Montgomery, Philadelphia, Delaware, Chester and the Main line. In New Jersey we service the counties of Hunterdon, Mercer, Monmouth, Morris, Middlesex, Union, Ocean, Burlington, Essex and Somerset. We provide full property inspections inside your home and outside your property. Our Absentee Home Watch Service is designed to offer complete management of all the services that need to occur in your absence. You will not have to worry about broken pipes, flooded basements, snow removal, lawn care, storm damage or leaves and old newspapers piling up while you are away from home. We'll take care of things for you. We can tailor our program to meet your needs. The frequency of our visits is up to you. We also reserve the right to go back to your home during non scheduled inspections when there is a unique weather event or storm just to make sure that your home is safe and secure. The bottom of this page will detail some of our home watch services. Learn more about Personal Property Managers from our recent News Stories. We can also perform a host of tasks on your behalf to make sure your property is as inviting when you come back to your home as it was when you left it. We are here to help you. PA HIC PA031951. Licensed Realtors in both Pennsylvania and New Jersey viaÂ EveryHome Realty, Pennsylvania RS308044 and New Jersey 1326862. Ask for us at EveryHome Realty for more information about our discount real estate services or for the rental and management of your home while you are away. We are mindful of the budgetary reality of managing your home and property. With our Absentee Home Watch Services, you can afford to have the convenience of home management without the high cost of hiring full-time help. 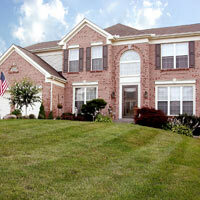 We will check your property based on your preferences, such as weekly, bi-weekly, monthly or any schedule you decide. Basic Absentee Home Watch Services are determined on a per-visit basis. When Problems Occur We Handle It! 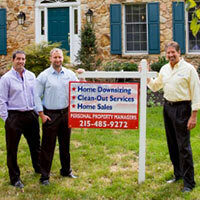 You can count on professional handling of your property and home issues. We notify you of any problems and make recommendations to correct them. We put our knowledge of community trades people to work for you. We will organize the necessary service, meet with the repair person and admit them into your home. We will stay until the repair person has completed his/her work, set alarms and lock up following their departure. We can also send digital photo of problems or completed repairs by email. The property owner is the person who decides what exact repair is to be done and how much money is to be spent. 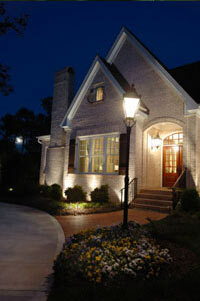 The homeowner has full control and the final say, regarding the satisfaction or outcome of work completed. Personal Property Managers will carry out your specifics wishes. We become your eyes, ears and voice, when you can not be here to manage your home details. How Is A Crisis Situation Handled? When a crisis occurs (and they do!) you will be glad it isn’t your neighbor watching over your home! You will have peace-of-mind because you have a professional service in place to handle these upsetting events. There is no worry with Personal Property Managers! A crisis is handled on the spot. There may not be time to call the homeowner to get pre-approval for expenditures in this case. The main concern in a crisis is to get the situation under control as fast as possible. You will be called as soon as it is feasible. Many times a homeowner can not be reached immediately and the situation can not wait. We have saved further destruction of homes by fast action. Your crisis may need an immediate plumber, electrician, sewer technician or handyman before we can locate you. We completely handle any crisis. This is one of the qualities you will want from a home service company like ours. When hiring an "absentee home watcher" always ask yourself whether the company/person you are hiring can efficiently handle emergency situations? This is what separates a professional service from the local person who "watches homes on the side." We focus solely on our business and we have the highest reputation to prove it! We report all our activities to you from the comfort of your computer. You can see our work from anywhere in the world via our exclusive Internet access. While you are away, you will be given special access to online messages and digital photos of your home and any needed work or repairs. All home visits are documented and digitally photographed per your requirements. A copy of our checklist and pictures will be forwarded to you at your request. Now you can relax and leave the details to us. If a problem is detected and requires immediate attention, we'll contact you and handle it for you. We are an award winning organization dedicated to providing personalized services and offering you solutions that are tailored to your specific needs.